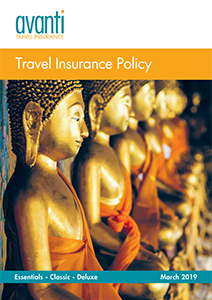 Avanti Travel Insurance has found that more and more over 50 travellers are opting for more fast-paced, activity-filled holidays. We are so delighted about this that we have decided to include 17 days’ winter sports cover for free on our Annual multi-trip policies, for clients up to and including the age of 70. Winter sports can also be added to Classic or Deluxe single trip policies for an additional premium. Avanti Travel Insurance’s winter sports insurance is a comprehensive cover for beginners and pro’s alike: Winter sports equipment, ski hire, ski pack, piste closure and avalanche cover are all included free with your annual multi-trip policy. The winter sports activities that Avanti covers include: Big foot skiing, Cross country skiing (recognised paths), Glacier skiing, Langlauf, Mono-skiing, Off-piste skiing (with a professional guide within a recognised ski resort), Ski touring, Sledging, Snow shoeing, Snowcat skiing, Tobogganing. Other winter sports activities may be considered for cover for an additional premium. 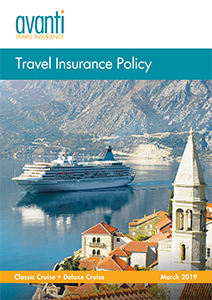 If you would like any more information on the sports and activities that Avanti Travel Insurance covers, see our policy documents.